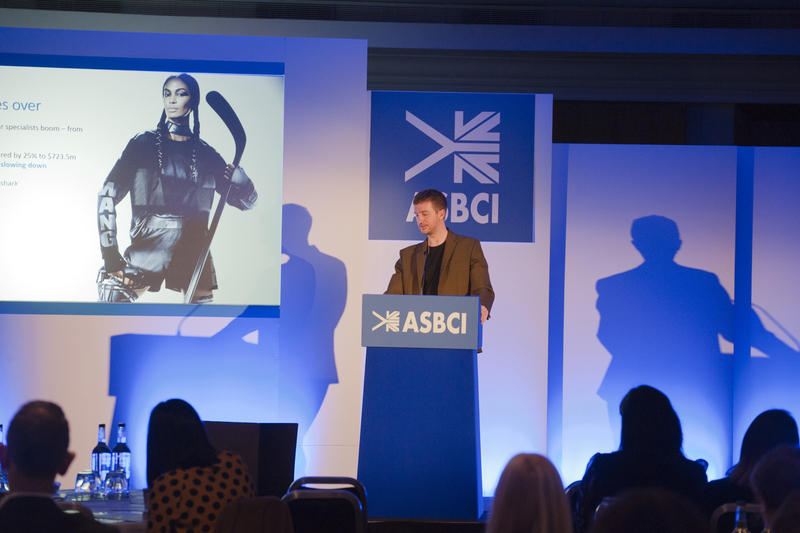 Fitness is cool, fashion’s gone casual, and Athleisure is just too comfortable to go out of fashion, speakers told delegates at the ASBCI’s latest conference on the defining fashion trend of the 21st century. Halifax, United Kingdom, 20 November 2018. The ASBCI’s Athleisure conference took the trend from the macro to the micro, examining the origins and future direction of what has become a cross-generational lifestyle shift before drilling down into the minutiae of the fibres, technologies, and testing processes required to optimise garment comfort, fit, quality, and speed to market. The importance of comfort was mentioned again and again. ‘Customers are not prepared to sacrifice their new-found comfort and they are willing to pay more for it,’ said Jutta Vo Quang from Freudenberg as she outlined the performance characteristics she believes are here to stay, all of which are designed to enhance the comfort of the wearer. And it is in functionality that one of the great opportunities of Athleisure lies, both in communication and innovation. ‘At what point does a polyester jersey become a running vest?’ asked Helen Colebourn from Bureau Veritas. The answer is the point at which the retailer promotes it as such by highlighting its performance properties, whether these are inherent or engineered. Making technology visible through design features, co-branding, or point-of-sale marketing helps the consumer understand how a garment will enhance their life, and that’s what Athleisure is all about. But that doesn’t mean design has no place. Athleisure is where fashion and function meet and the convenience of the ‘wear anywhere’ legging is matched by the desire to buy into the latest mini trend or capsule collection. ‘It’s hyper consumption v hyper collaboration,’ said Terence Senford, head of men’s Athleisure for Boss Menswear. ‘One thing is fuelling the other.’ Product cycles are shorter, production runs smaller, and product is more customised. The Athleisure conference was hosted by Dr Julie King, head of fashion for Northampton University and ASBCI event director, and was sponsored by Bureau Veritas, Lectra and Freudenberg. Please see the full conference review for speaker summaries. If you need any further information or additional images, please contact Lotte Debell on 07969440089 or lottedebell@gmail.com.